The new year has only just begun, yet by Valentine’s Day some 80 percent of us will have already given up on those well-intentioned commitments – at least according to University of Minnesota researcher Marti Hope Gonzales. Why is that? Some may chalk it up to a failure of will or of character, but, as a brain scientist, I think that’s attributing a lot of moral causation to a more easily explained lapse in brain function. After all, it was in your brain that you decided on the resolution as something that would be good for you in the new year, and that’s where you made the commitment. It’s also where you make the decision that results in not keeping the resolution. As an example, perhaps you decided this year that you would be disciplined about practicing the piano (or made some other commitment). Let’s look at those mental processes, what fails, and what you can do about it. The first process you engage in order to attain your goal (or really, in order to control anything in your brain) is what brain scientist’s call executive function – that’s the brain’s control mechanism used in planning, reasoning, and decision-making. That’s what enables you to choose a goal, and have a strong executive – a strong captain of your ship – so you stay on target. The second thing is attention. We tend to think of attention as focus on your target, but it has a second equally important component, and that’s suppression of distraction. Small things can carry you off the beam. You think “this is the time when I planned to practice piano, but, wait, there’s a game on TV…” and then, you fail. This New Year: Your Brain on Commitment from BrainHQ from Posit Science on Vimeo. Other lower level brain functions also come into play in feeding information to be used by your executive, including the collection of perceptual information (coming in at varying speeds across the day) and the use of memory. Do you notice when you are headed off target, do you remember your commitment, and do you take corrective actions? When our brain machinery is operating at a high level, it’s easier to keep commitments. When it is not (e.g., we are tired, hungry, inebriated, or distracted), it’s easy to fail. The best way to keep your brain machinery operating at a high level is to exercise it – especially in activities that are intensive, repetitive and progressively challenging. For example, learning to play a musical instrument, learning another language, learning to dance, taking up yoga, taking up painting or flower arranging or bird watching are all great examples of activities that can be intensive, repetitive, and progressively challenging to elemental brain and sensory functions. Such activities engage the brain’s plasticity (ability to change) across brain systems, and contribute to stronger brain speed and attention – improving higher brain function, such as memory and executive function, as well as overall brain health. I lead an international team of hundreds of scientists that develops, tests and validates computerized brain exercises based on what we’ve learned about brain plasticity, so I should mention that those exercises (found in BrainHQ) are an efficient way to strengthen the brain systems I’ve just discussed that underlie making and keeping commitments. But that may not be your cup of tea, so what else can you do? Leading a life that is filled with adventure and new challenges outside your comfort zone can also be a way to engage and sharpen your brain machinery. 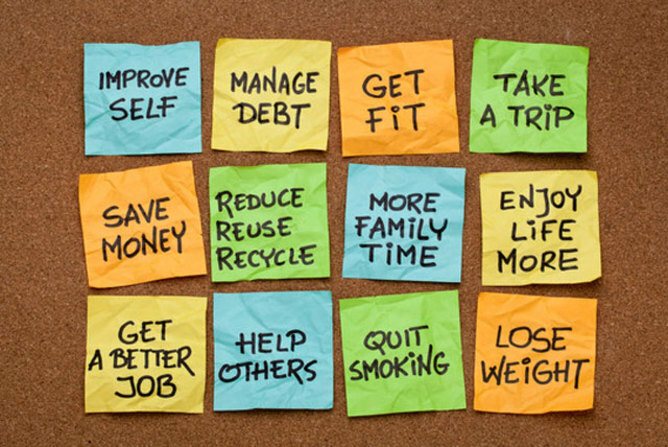 Deciding to do so could make for a great new year’s resolution…and should help you with the others. Dr. Merzenich is often credited with discovering lifelong plasticity, with being the first to harness plasticity for human benefit in his co-invention of the cochlear implant, and for pioneering the field of plasticity-based computerized brain exercise. He is Professor Emeritus at UCSF, Co-Founder and Chief Scientist at Posit Science, and a Kavli Laureate in Neuroscience. Among many tributes, he has been honored by each of the US National Academies (of Sciences, Engineering, and Medicine). He may be most widely-known for a number of broadcast specials on the brain on public television.